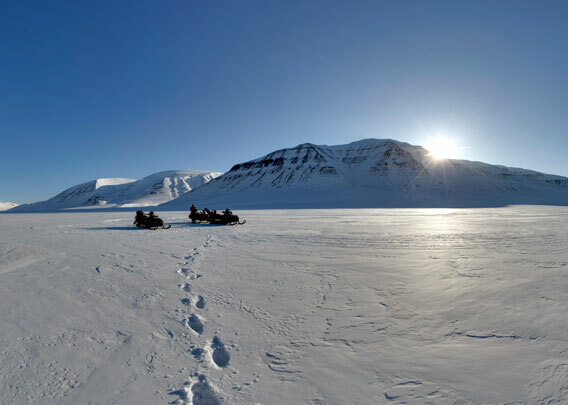 Fulmardalen is one of many unglaciated valleys in Nordenskiöld Land, central Spitsbergen. It is part of the classical „Conway-route“ from Longyearbyen to Agardhbukta on the east coast. During the winter, the trip takes only a few hours by snow mobile. In summer, it takes experienced hikers 4 days to cover the distances and the challenges of the pathless terrain (click here for some impressions for an east coast hike in July 2007).